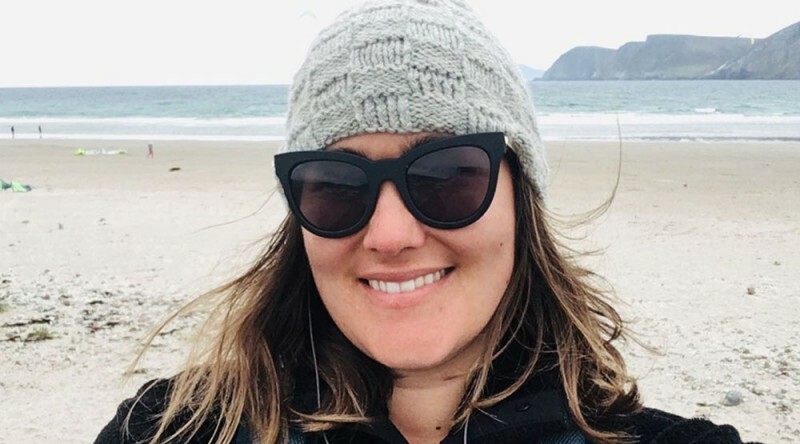 Hi, my name is Ashley and I came to Achill Archaeology Field School (AAFS) from San Juan Island, in the northwest corner of Washington State. AAFS is my second Field School course in my archaeology career and I heard about AAFS from a fellow field school student from my first field school in British Columbia back in 2009! Since I plan to pursue future archaeology careers internationally, studying on Achill Island was an easy choice! In my six weeks on Achill, I not only got to explore and learn about beautiful Western Ireland, but I got to reacquaint myself with some skills I hadn’t practiced since my first field school and learn new ones. Charting stratigraphy, logging artifacts, assessing soil, and interpreting history through physical layers were just a few daily exercises during my participation during the Caraun Point excavation. Aside from the work, it was exciting to meet people from all over and make new friends. I would recommend AAFS to students who are considering studying or pursuing a career in archaeology, this is a great experience to learn entry aspects of archaeology and have a first-time exploration of the field of archaeology.